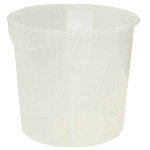 The Rubbermaid FG572724CLR round storage container is dishmachine safe since it can endure temperatures between -20 and 212 degrees Fahrenheit. The material is clear so that operators can monitor product, and integrated handles aid in transportation. To maximize space, this container can be stacked with others. 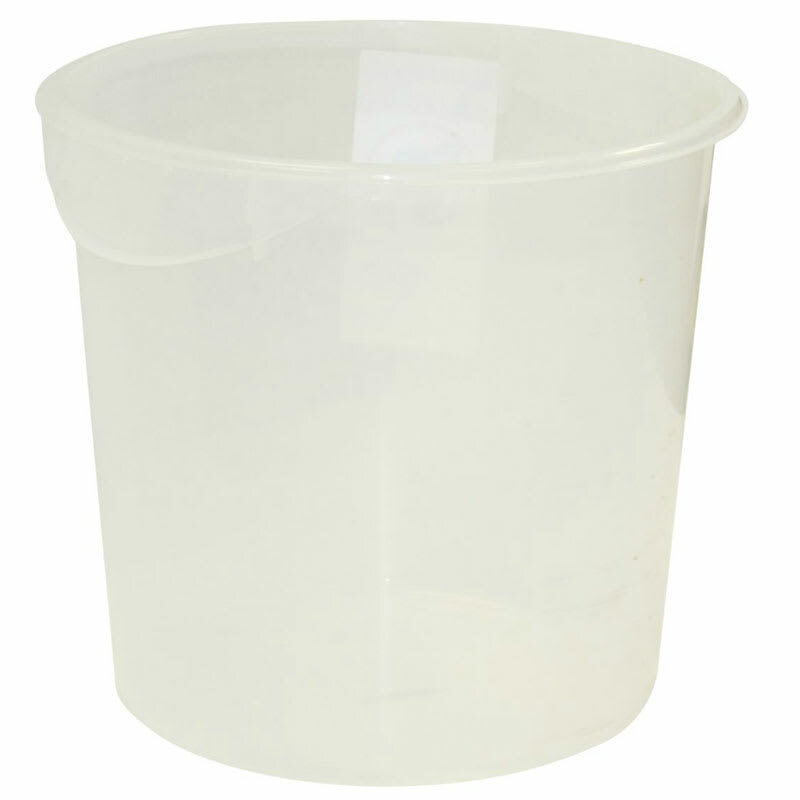 For more information on food storage, visit our storage containers buyers' guide.